When searching ways to hack iPhone password, most of the ways would suggest you to use computer. But you may not have a computer available. You may consider “is it possible to hack iPhone passcode without computer”. The answer is YES! It’s not difficult for you. iCloud is built into every iOS device, and that implies all your stuff such as photos, files, notes, and more are stored up in the Apple servers. However, iCloud has a feature called “Find My iPhone” which makes it possible for you to enjoy every iOS device features while your data stays private. Therefore, in order not to compromise your privacy, Apple designed “Find My iPhone” as a security feature that would wipe your iPhone data should in case you lose your iPhone. This feature’s primary purpose is to help you locate and track your iPhone when lost, but it can also remove everything in your iPhone including your iPhone passcode. Hence, you can easily hack into your iPhone without a computer through Find My iPhone by removing the iPhone passcode. Step 1. Log-in to the official iCloud website here https://www.icloud.com on any of your device. Step 2. 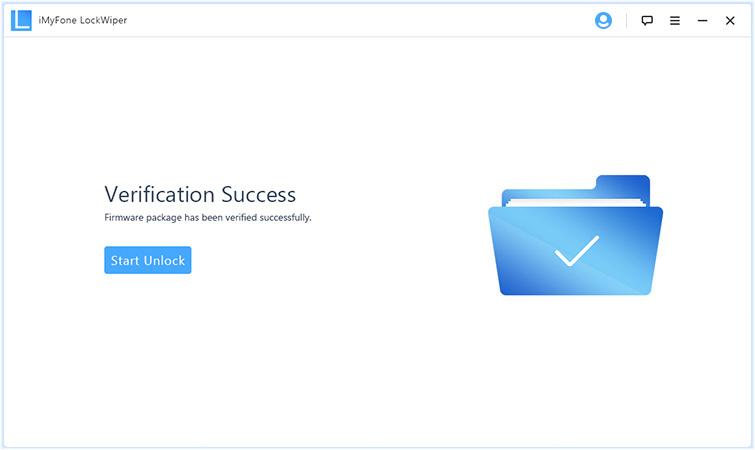 Provide your iCloud credentials (i.e. your Apple ID and Passcode). Step 3. From the available options on the iCloud page, select “Find iPhone”. Step 4. The Find My iPhone interface will appear on your screen, click “All Devices” and select the iPhone you want to unlock. Step 5. Select “Erase iPhone” and confirm your request. Important: If your iPhone is connected to the internet at this point, Find My iPhone will wipe it remotely. However, if Find My iPhone is not enabled in your iPhone, this feature will not work. Most important, you should know your Apple ID and password. Because of the limitations, using iCloud method may not be available for you. However, there is a better way to hack into an iPhone in mere minutes, and that method is iMyFone LockWiper. If you need an iPhone unlocking tool or software, that’s specially designed to support all versions of iOS, iPhones, iPads, and iPod touch. Since many of us don’t want to use iTunes due to restrictions or limitations, it’s better we utilize another computer-based software for unlocking iPhone that’s a good alternative to iTunes. 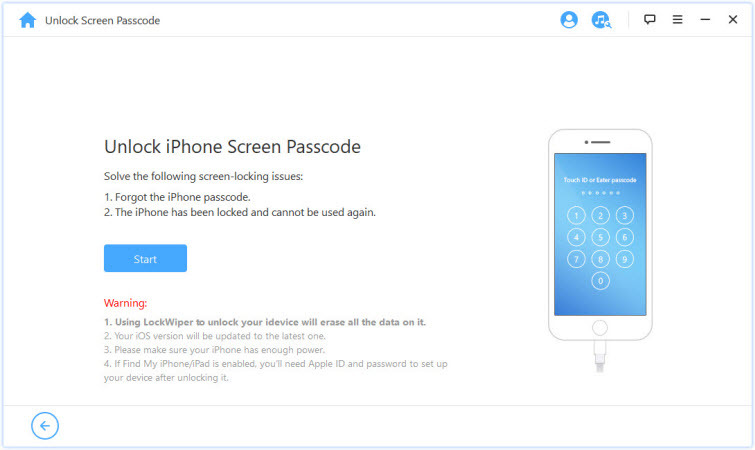 Hence, LockWiper is potent enough to hack iPhone passcode without any limitations. Hack into a locked iPhone without passcode or iTunes. Remove all iPhone screen locks such as 4-digit & 6-digit passcodes, Touch ID or Face ID locks. Fully supports to fix locked, disabled, faulty key, or screen broken iPhones. Promise high success rate even to hack second-hand iPhone. Compatible with all versions of iOS and iOS devices. Step 1. Download and install iMyFone LockWiper on your PC/Mac. Launch the iPhone hack program, click the “Start” tab, and connect your iPhone using a USB cable. Step 2. 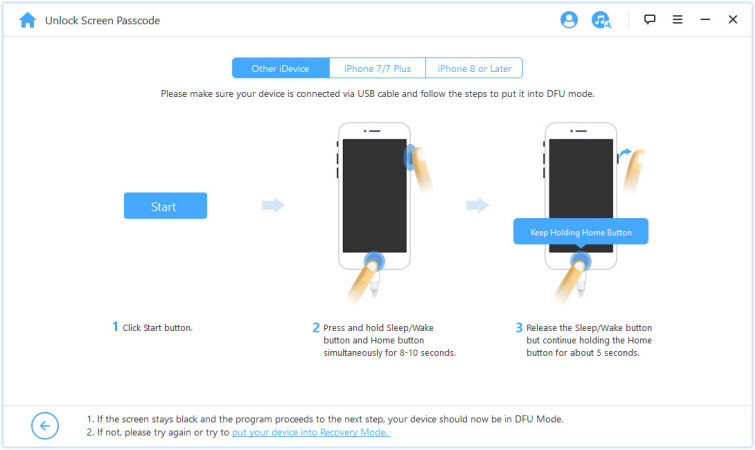 Choose your device model, and follow the instruction to put your iPhone in DFU mode. Step 3. 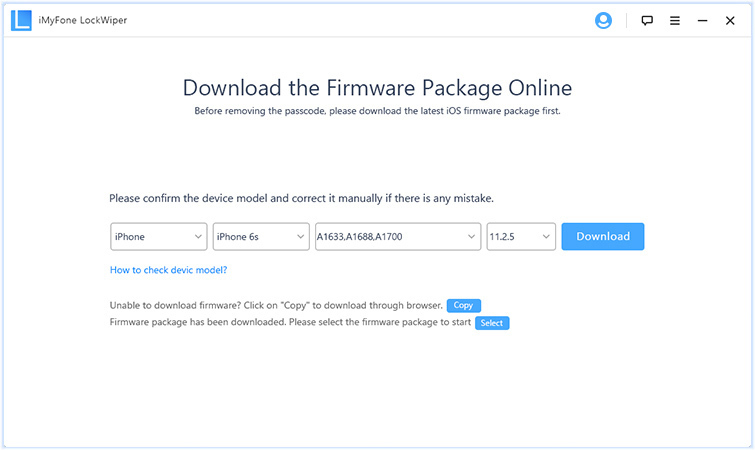 Download the firmware package for your iPhone by clicking “Download”, and after the download, click “Start to Verify”. Step 4. Click “Start Unlock”. Then, enter “000000” into the box, and click “Unlock”. But note that it’s not totally free that it will ask you to register when you click “Unlock” button at the last step. The free trial allows you to see whether this software is effective for you, but you need to purchase a license to fully use it. iMyFone LockWiper is the ultimate tool for hacking iPhone passcode without iTunes. So, enjoy using this tool as you unlock your iPhone!